So Brad, very keen surf kiter. If anyone’s going to put the kite through its paces, it’s someone like yourself. So, tell us about your session and the new Reo. I went down to Cronulla, the wind had a little bit of southwest in it. The wind felt like about 18 knots and then on the wind charts it said, like, 14-22, but it actually felt pretty steady when I was out there. And did you have some swell? So first impressions, has much changed since V3? Well, all the previous versions have been my favourite kite out of my whole quiver, and this one did feel quite similar. Still nice and light on the bar, the wind range is really good on it, but most noticeably with V4 they have made it more stable, which I didn’t even know was possible! You’ve been surf kiting for a few years, you’ve tried out quite a few different brands, I imagine. 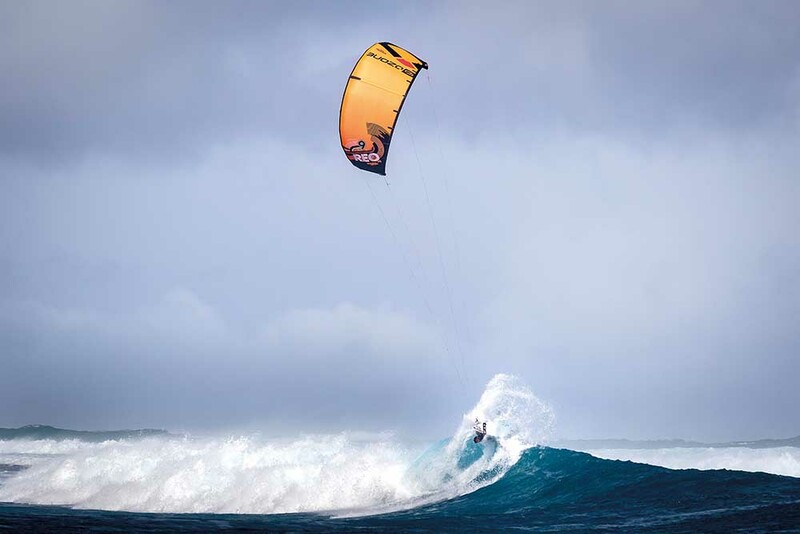 How does it stack up, do you think, against other surf kites? I’ve been begging other people just to try as many kites as I could because I’ve had so much time off this year. I’ve jumped on lots of kites, and I mean, all kites are getting better, I’ll grant that. You almost can’t get a bad kite, but they just have lots of different characteristics now. And when some have a really good bottom end, they’re going to lose the wind range. And because I’m a bit of a lightweight, I really like light winds, the Reo really suits me. 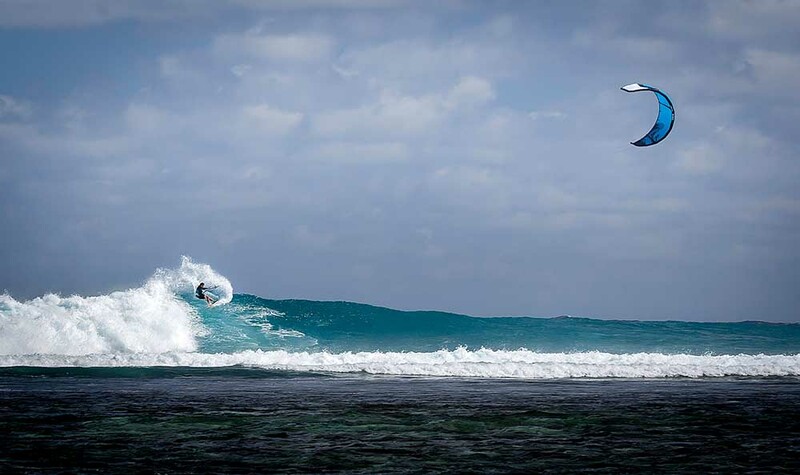 It’s got pretty big wind range, so it doesn’t pull me off my board at all, being a bit of a light weight. Someone sort of heavier, they can handle it, but I like the Reos for that characteristic. Apparently you made a few of your own suggestions to the Ozone team for this model? I did, I did. I’m not a super good kiter, and I’m pretty rough on the kite. If I want to do a turn, I just sort of leave the kite hanging and do my turn anyway. I like the kite to just be hanging there and I’ll pick it up later. If I want to do a turn I’ll just do the turn and come back down and then the kite hopefully will be there. If it’s not quite where it’s meant to be that’s cool because I’m quite erratic. When the surf is big, doing a bottom turn and heading up the steep face of a wave, the kite’s going up and backwards at the same time. So stability in that area has just got to be spot on which was my suggestion, and they have nailed it with V4. That’s exciting. And obviously the drift on it is great. Yep I even tried to get it to fall out and couldn’t! I went somewhere where it was slightly onshore because that’s what I like the best, and I was coming off the bottom and I just left the kite hanging on the shore side of the wave and did a few check turns and then hitting further down the line and the kite just hung in the air really really good. I was using my hands to show you how I was surfing but you didn’t see that (laughs). (Laughs) Take a selfie, mate. Send it to me. I’m like an Italian, using my hands to talk. Okay, and so, overall impression: nice, stable kite? Yep. I remember last year when I rode my 12 metre, the newest, so that would have been V3, that was one of the best light wind kites in the surf ever made. And I think this one’s even better. It’s just got extra stability, definitely. That sounds great. Anything else that you want to mention about it? Well, I was going to say that it’s bomb proof (laughs). When I knew I was having this interview, I tried to get the kite to fly over my head and fall in the water. I ended up having to let go of the bar and swim downwind as hard as I could and I actually got the kite to eventually fall out of the sky, just so I could relaunch it. Anyway it relaunched really well, probably because the centre strut’s stronger as well in V4. So I’ll say of all of the versions I’ve had since 2012, this seems to be the easiest to relaunch. And you had a hard time getting it to drop out of the sky, yeah? I did, yeah. I managed to get it to fly past me at twelve o’clock, and it still just slowly drifted back above me. Just the balance of it’s really good. It sounds like they’ve done a good job. Yeah, I think so. 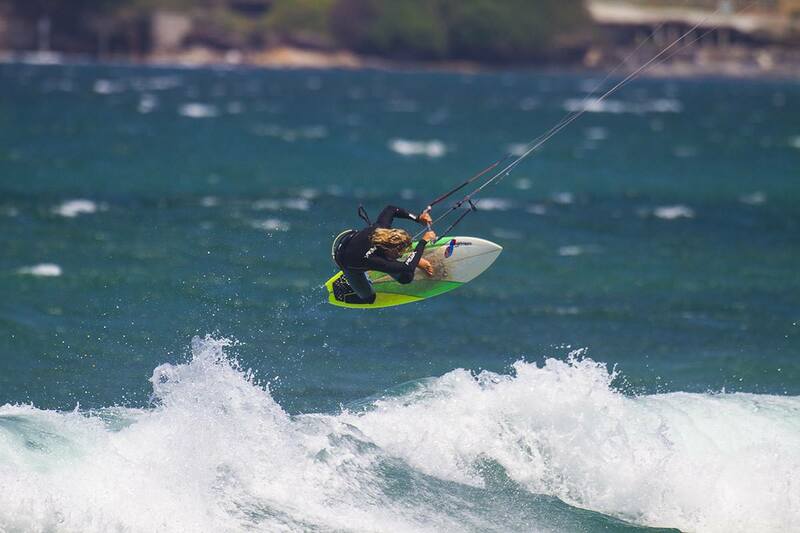 I mean, if people got into kiting now and they wanted a surf kite, compared to five years ago they’re so much better. Yeah, it’s come a long way hasn’t it? So much more user-friendly. I’ve probably used five different surf kites in the last twelve months, just as a little test, and they’re all getting better, definitely. Well this one definitely sounds like one I’d love to try out. Apparently you’re a fan of the new graphics and new bag. Tell us about it. Uh, yeah…. I don’t really care what it looks like, and I don’t really care about the bag. Although the bag does comes with a bottle opener, so I give that a 10/10. There you go, that’s awesome. And the bag’s bomb-proof? Yeah, bag’s bomb-proof, I’ve already tested that out.